City of Light's dominant victory in the Pegasus World Cup Invitational Stakes was the kind of effort that can fill a stallion prospect's first book in a hurry, but the heavy lifting was already long since finished by the time the horse set foot on the sandy loam of Gulfstream Park. The son of Quality Road already had a full book of 165 mares on his dance card before retiring to Lane's End following the Pegasus, and Lane's End's Bill Farish said the farm had to turn away so many mares, they could have filled his book again. This is unquestionably a ringing endorsement from the bloodstock community for a horse. The way he got to that full book, though, shows City of Light's respect from breeders goes still another level deeper. City of Light will be one of three incoming stallions on the Lane's End roster in 2019, joining champions Accelerate and West Coast. Following the Breeders' Cup, Accelerate and West Coast vanned from Churchill Downs to Lane's End for inspection by prospective breeders during the fall mixed sale season, when a large chunk of the Thoroughbred breeding population descends on Central Kentucky. City of Light went back to the Southern California barn of trainer Michael McCarthy and never set foot on the Lane's End property until after the Pegasus. Even without the benefit of having a physical product to see at the end of the shank at Lane's End, the requests rolled in. For Adrian Gonzalez of California-based Checkmate Thoroughbreds, the line to get into City of Light's book began well before his Breeders' Cup Dirt Mile triumph in early November. “I had no idea what his fee was going to be, but I started campaigning to get into him around September,” Gonzalez said. “Poor Jill McCully (of the Lane's End stallion seasons and sales team), I was sending emails to her non-stop about trying to get in over there, and she said, 'We don't have a fee set. It's a little early,' but in my experience, I'm always getting turned away because it's too late, so I figured it couldn't hurt to try. Gonzalez got one mare into City of Light's book; the Grade 1-placed stakes-winning Storm Creek mare La Nez. John Mulholland of Mulholland Springs in Lexington, Ky., was another betting heavily on City of Light's potential, nominating five mares to the stallion and getting three into the book: the Exchange Rate mare R Naja, the Blame mare Blame It On Alphie, and the Rockport Harbor mare Grace's Treasure. All three mares are stakes-placed or better. Previously a supporter of City of Light's sire Quality Road, a fellow Lane's End resident, Mulholland said the elder's ascension into the six-figure stud fee stratosphere was a big factor in looking at the younger horse as an option. City of Light's advertised fee is $35,000, compared with Quality Road at $150,000. Still, Mulholland was encouraged by the massive demand for City of Light and the commercial implications it could have down the road. For both Mulholland and Gonzalez, City of Light's reputation as a high-priced yearling went a long way in basing their decisions to send mares to him. 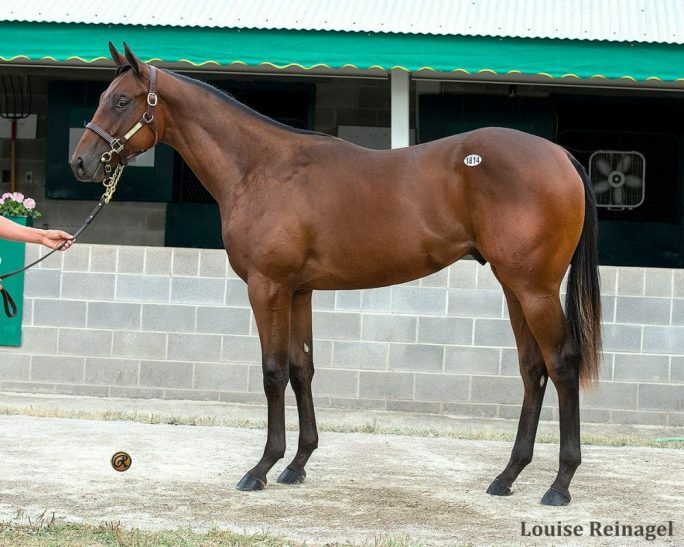 City of Light was consigned by Lane's End at the 2015 Keeneland September Yearling Sale, where he brought $710,000. At the time, it was the highest price ever paid for a Quality Road yearling. Gonzalez was familiar with City of Light's conformation from inspecting him as a yearling. He has followed the horse closely through photographs and seeing him at the racetrack in California, but he hasn't gotten a stand-up look at City of Light in-person since the horse matured into an adult. “At that time, Quality Road was a sire with some respect, but he wasn't what he was now, so for him to bring what he did as a yearling, I figured his conformation had to be flawless because that was a big price to pay at the time for a Quality Road,” Gonzalez said. Mulholland caught glimpses of City of Light a few times over the years, including at Churchill Downs prior to his start in the Dirt Mile. 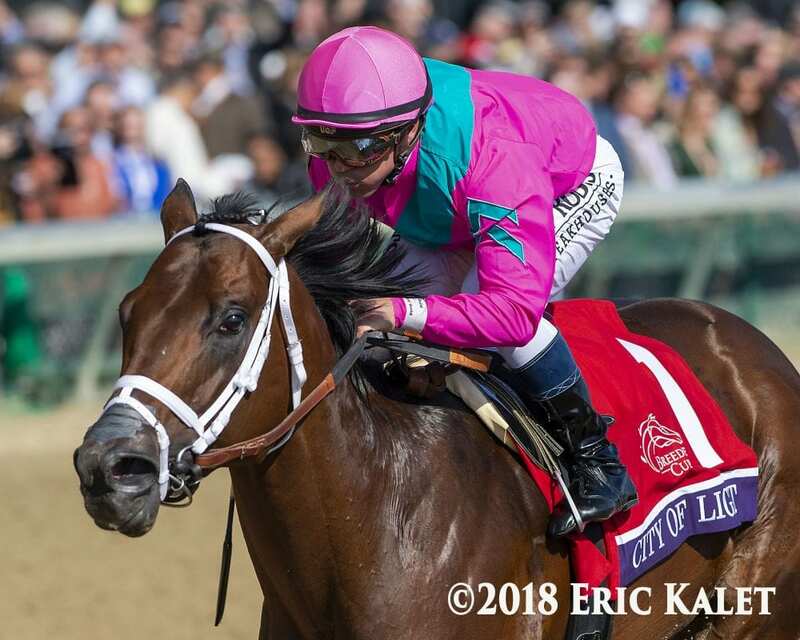 The logistics of the Pegasus World Cup extending City of Light's racing career beyond the typical “retire after the Breeders' Cup, show during the November sales” model typical of many elite stallion prospects caused him to operate outside of his comfort zone. He had to lean into what he knows about Thoroughbreds and the Thoroughbred industry. Using that criteria, City of Light was a leap of faith he was willing to make. This entry was posted in Bloodstock, NL Article and tagged Adrian Gonzalez, Bill Farish, Checkmate Thoroughbreds, city of light, John Mulholland, Lane's End, Mulholland Springs, Thoroughbred breeding by Joe Nevills. Bookmark the permalink.